If you need the measurements of a small object but your only companion is your smartphone you might remember Apple’s slogan “There’s an app for that. That’s the iPhone. Solving life’s dilemma one app at a time.“. With millions of more or less powerful little helpers replete with useless ad you’ll always find for free what you are looking for. 1 In the Internet look for an image of a ruler which at least shows up to 122 mm. 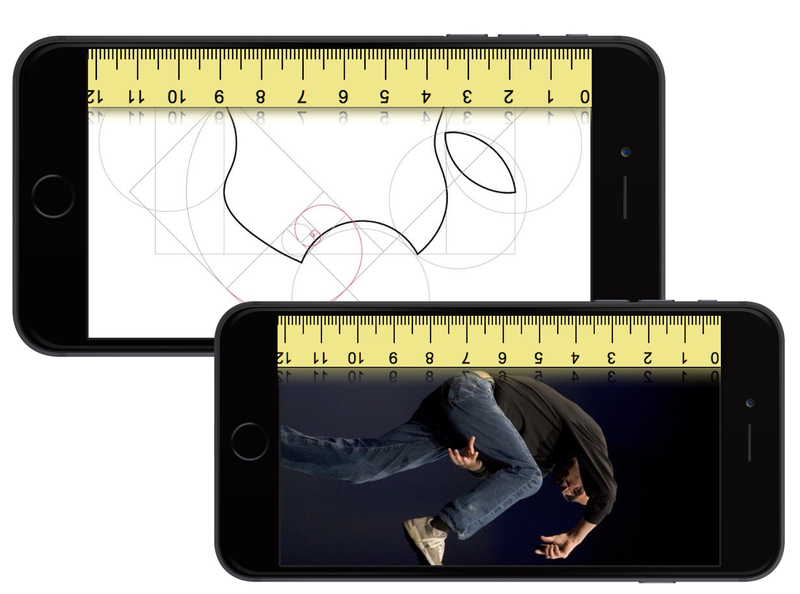 2 Open the app PHOTOS and rotate the ruler in a vertical position. Crop the image so that the ruler shows 0 mm to 122 mm for a Plus model or 0 mm to 104 mm for the 4.7″ model. 3 Zoom it so that it exactly fits into your screen. 4 Take a screenshot. It’s your ruler and you didn’t write any line of code to make it work. If you are the proud mother or father of children facebooking the whole day, ask them how to measure objects without a specialized app. I hope they’ll find a solution otherwise it could become difficult for you to raise interest for being creative instead of consuming facebooks. Well Steve, not all dilemmas can be solved with an app.